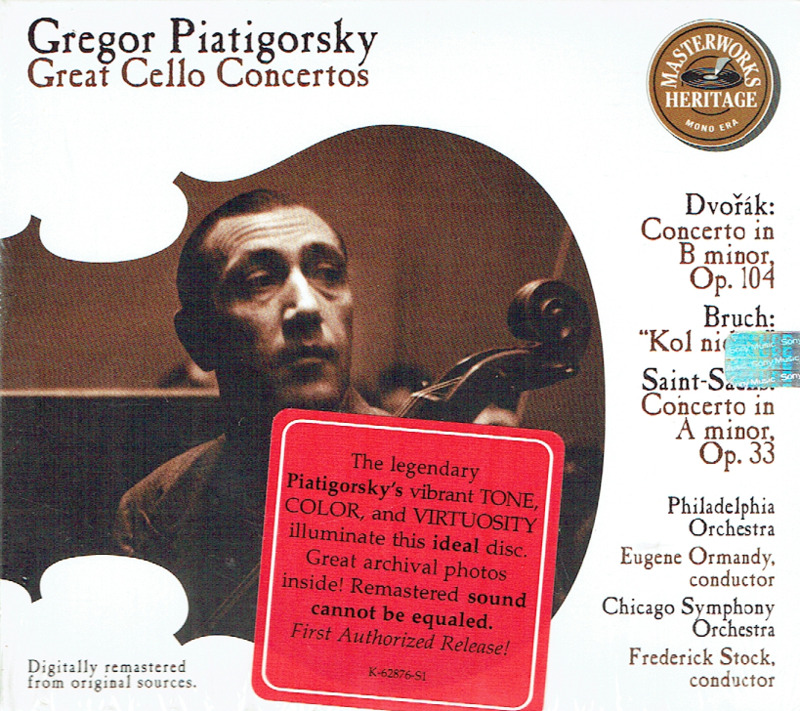 “Gregor Piatigorsky began playing the cello at the age of seven and was admitted to the Moscow Conservatory at nine, studying there with Alfred von Glehn. In 1919, he joined the Lenin Quartet and was appointed principal cellist of the Bolshoi Theater Orchestra. In 1921, Piatigorsky left the Soviet Union, going to Leipzig by way of Warsaw, and studied for a time with Julius Klengel. Furtwängler appointed him principal cellist of the Berlin Philharmonic in 1924 where he came into contact with the leading German musicians of the time, including Schnabel and Flesch, with whom he formed a trio. In 1928, Piatigorsky left Berlin to concentrate on a solo career, which began triumphantly with his New York debut in 1929. 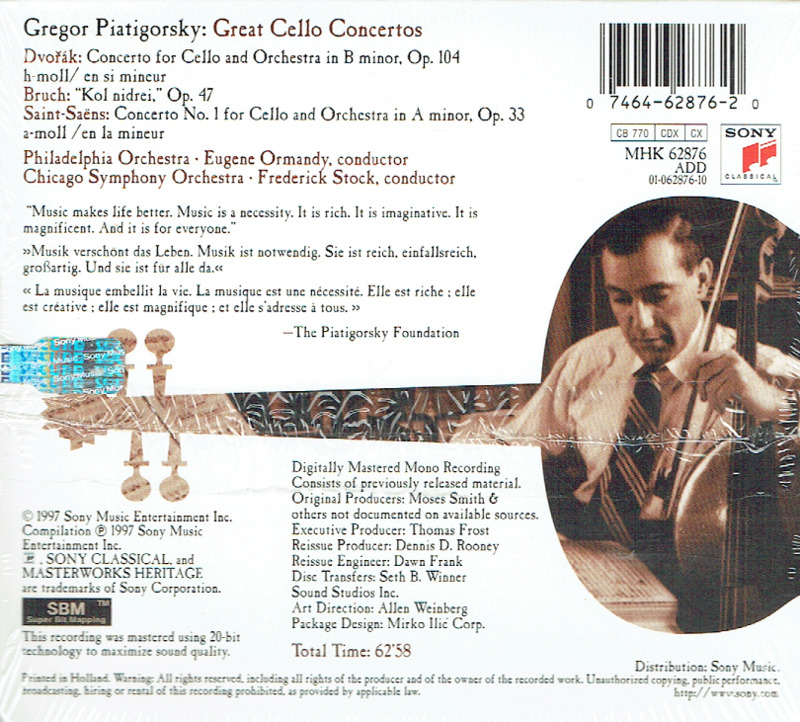 Although Piatigorsky concertized regularly as a soloist, he continued his activity as a chamber musician. Starting in 1930, he formed a trio with Horowitz and Milstein, and later, in 1949 with Heifitz and Rubinstein. In 1961, Piatigorsky and Heifitz formed a chamber music series in Los Angeles, much of which was recorded, and remain among the treasures of chamber music performances.